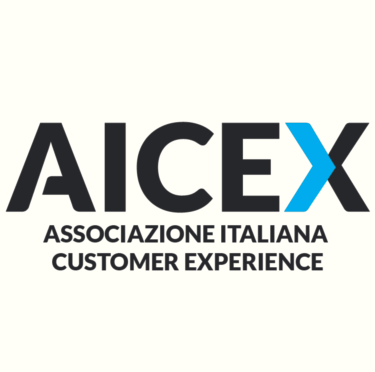 Customer Experience nel B2B: Basta chiedere, comincia a dare! This week I return to thinking about my ‘7 rules’ for creating a better social engagement experience with our customers. It may be a New Year, and we may have come a long way during 2014, but I continue to worry that B2B marketers are still too focussed on what marketing does, rather than on what our real purpose is – which is ultimately about engaging with our customers in meaningful and relevant ways that are memorable. Before the holidays I wrote about my Rule #1: Listen. We talk a lot about listening to our customers in B2B, but I still don’t think we do it very well. As I wrote last week, while I anticipate that many of the so-called ‘traditional’ marketing activities will be making a comeback in 2015, I hope that we won’t just go back to doing the same things in the same ways, trusting that they will appear ‘new’ because we haven’t done them in a while. This social era of marketing means that we must look at these activities through a completely different lens than we did before. No matter what we do, we have to ask ourselves a critical question: does this matter to our customers? Just this week I saw this tweet from a marketing agency: Find out what our clients are saying about [us]! Well, why should I care? We need to remember that social media isn’t a 1-way broadcast channel that we use to push out information and messages about ourselves; it’s a 2-way (and often multi-way) conversation with our customers. Continually pushing out our own content does not necessarily stimulate discussion; in fact, as I illustrated in my Listening blog before the holidays, pushing can often be conversation-stoppers. But, too many of us are still using social media as simply another channel through which to push out our content, without giving real thought to if and why it will matter to our customers. That’s why I’m still not happy with all the attention that continues to be paid to ‘content marketing’; the language itself implies something we do ‘to’ our customers, not a conversation we have with them. Content marketing continues to be too much about us and what we think, and not enough about our customers and what matters to them. And we are not asking ourselves if and how our customers want to engage with and relate to that content and thus our brand. I would rather we think upfront about our marketing activity as a whole, instead of its component parts. We need to be asking ourselves first about the kind of engagement we want to have with our customers, and only then think about the content we want to create and the channels we want to use. And that thinking should begin and end with our customers. Because our customers don’t to be ‘sold to’ anymore, they want a relevant contribution to the conversation. Heidi Taylor is an award-winning senior marketing strategist with 25 years’ experience of helping organisations engage with their customers, creating impact and differentiation. She is a sought-after speaker at marketing conferences in the UK and internationally, and regularly contributes articles to marketing journals in print and online. You can follow her on Twitter @TaylorMadeInKew. Il tuo Brand è una Esperienza e non un Logo!